Global biodiversity patterns in deep time can only be understood fully when the relative preservation potential of each clade is known. The relative preservation potential of marine arthropod clades, a diverse and ecologically important component of modern and past ecosystems, is poorly known. We tackled this issue by carrying out a 205‐day long comprehensive, comparative, taphonomic experiment in a laboratory by scoring up to ten taphonomic characters for multiple specimens of seven crustacean and one chelicerate species (two true crabs, one shrimp, one lobster, one hermit crab, one stomatopod, one barnacle and one horseshoe crab). Although the results are preliminary because we used a single experimental setup and algal growth partially hampered observations, some parts of hermit crabs, stomatopods, swimming crabs and barnacles decayed slowly relative to other parts, implying differential preservation potentials within species, largely consistent with the fossil record of these groups. An inferred parasitic isopod, manifested by a bopyriform swelling within a hermit crab carapace, decayed relatively fast. We found limited variation in the decay rate between conspecifics, and we did not observe size‐related trends in decay rate. Conversely, substantial differences in the decay rate between species were seen after c. 50 days, with shrimps and stomatopods decaying fastest, suggesting a relatively low preservation potential, whereas the lobster, calico crabs, horseshoe crabs and barnacles showed relatively slow decay rates, suggesting a higher preservation potential. 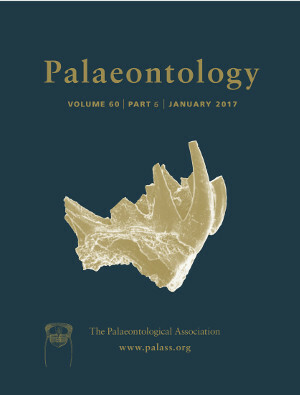 These results are supported by two modern and fossil record‐based preservation potential metrics that are significantly correlated to decay rate ranks. Furthermore, we speculate that stemward slippage may not be ubiquitous in marine arthropods. Our results imply that diversity studies of true crabs, lobsters, horseshoe crabs and barnacles are more likely to yield patterns that are closer to their true biodiversity patterns than those for stomatopods, shrimps and hermit crabs.